The CCTV footage of the Offa bank robbery which lead to the killing of policemen, bank workers and passersby has surfaced online. 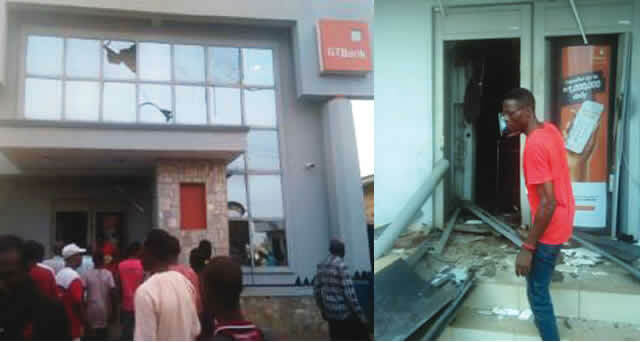 The gunmen had neutralised the security post with what appeared like grenades before entering the bank and operating. We hope the Police will be able to use this to track down the perpetrator of this devilish act. 0 Response to "Video Of Offa Robbery Attack: CCTV Footage Of How Gunmen Attacked Surfaces"